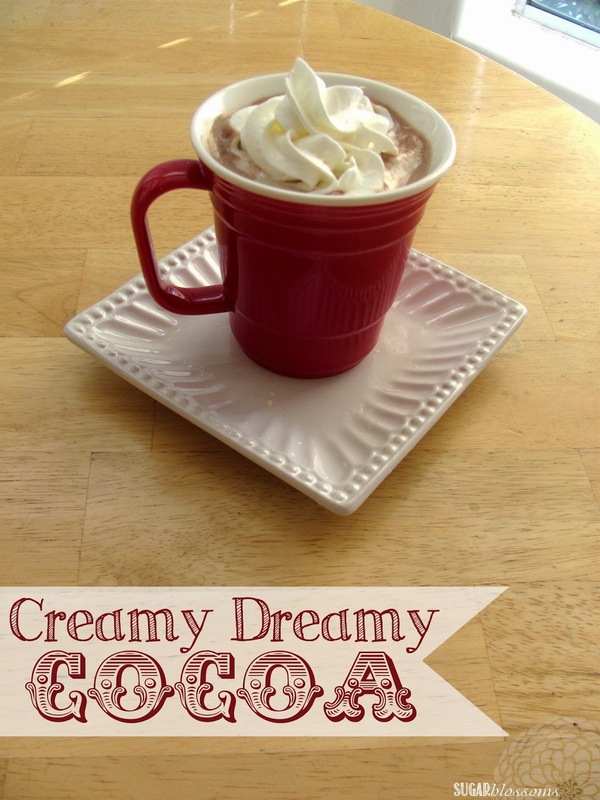 Sweet Sugar Blossoms: Hot Cocoa Recipe AND Red Cup Living GIVEAWAY! This is my absolute favorite time of year! For me the best part of the Holidays is being with the people I love. That's why teaming-up with Red Cup Living made so much sense! rekindle their neighborhood’s sense of community by holding more gatherings. I immediately spotted these su-WEET mugs! It seriously looks just like a red Solo cup with a handle but it's actually durable AND reusable. How stinkin' cute is that?! I dig them. They made me want hot cocoa. This time I wanted my mom's hot cocoa. 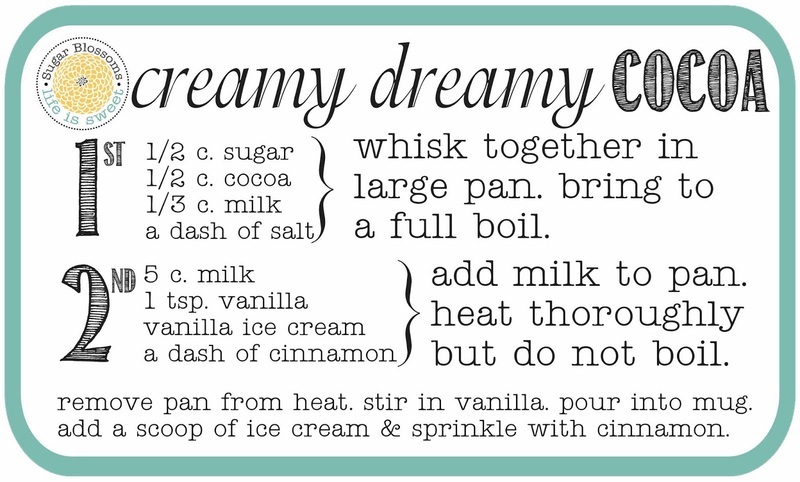 and I whipped up a batch to share with you. drinking out of a mug I bought for my dad when I was in 2nd grade. listening to my Grandma Scorse play the piano after dinner. 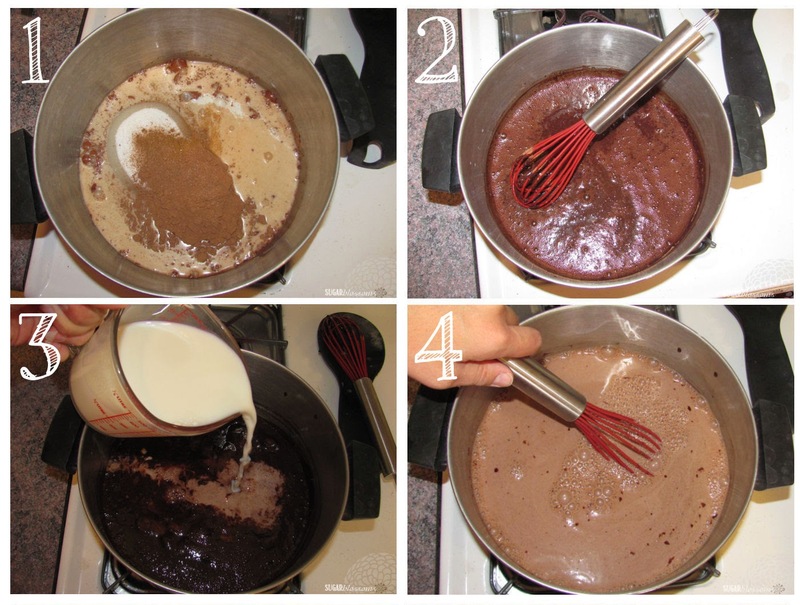 1- If you prefer the taste of dark chocolate, reduce the second measurement of milk to 4 cups. 2- Add a 1/4 tsp of your favorite spice: cinnamon, pumpkin spice, or nutmeg. 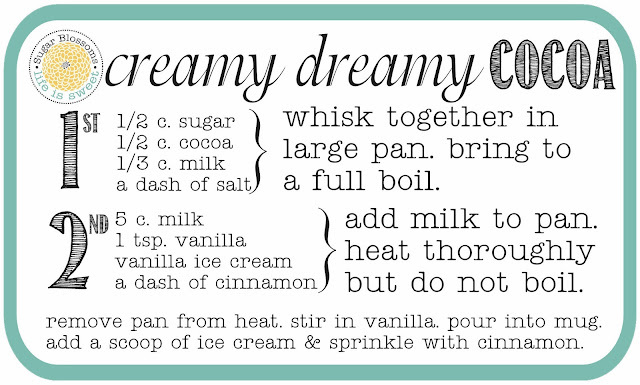 3- I like mine extra creamy to I add whipped cream on top before I sprinkle with cinnamon. You can add some extra holiday cheer with fun, reusable cups from Red Cup Living. Four New Red Cup Living Products Available in Time for the Holidays! or Secret Santa gifts at work. You can WIN some of these iconic gifts right here! Love the mug and your recipe! I love the coffee mug... I have a huge mug collection of fun mugs and it would go perfectly with it! I'd use the coffee mug- because I can't go a morning without my coffee!